Teaching is only possible through true sharing of knowledge and skills. 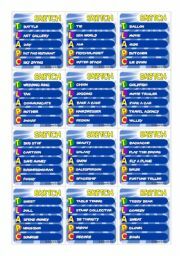 These are game cards I�ve prepared for my students. There are 24 cards in this file (the second part and dice uploaded separately due to size). To be played in groups. General vocubulary focus. Rules in the file. HAVE FUN WHILE TEACHING ; ) Hope you and your students like it. MORE CARDS TO PLAY - MORE WORDS. 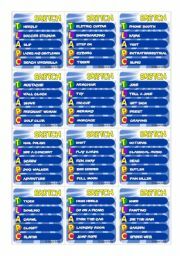 There are more 24 cards in this file (the firs part and dice uploaded separately due to size). To be played in groups. General vocubulary focus. Rules in the file. 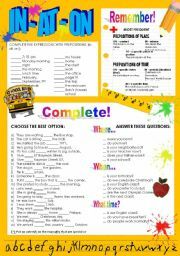 HAVE FUN WHILE TEACHING ; ) Hope you and your students like it. 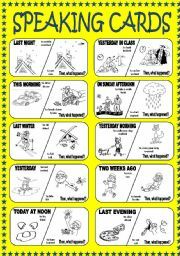 For x To - Quick reference and exercises to practice the usage of these prepositions for PURPOSE. **PRINTER FRIENDLY** My "DAY ONE" class. 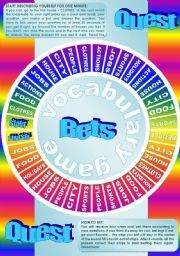 Basic structures of verb to be, the alphabet (really important for whatever age on the first day), international vocabulary, articles, basic prepositions, basic adjectives, etc, etc. 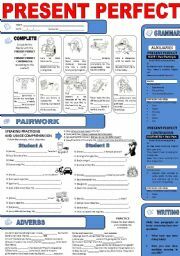 5 pages of exercises and guiding for a first day. Hope it can help you a lot for starters! CAMPARATIVE - IN/AT/ON as prepositions of TIME and PLACE. Grammar reference for most frequent usages and PRACTICE ***** If you don�t like the orange backgroung, just remove it and the layout gets clean. Help your students understand the rules and exceptions of this tough, yet ordinary, grammar subject. 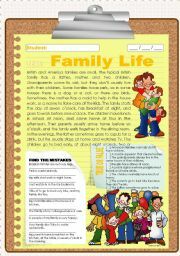 SIMPLE PRESENT PRACTIVE - TEXT: Family life. TRUE or FALSE exercises and CORRECT THE MISTAKES. Hope you find this one useful. Thanks! 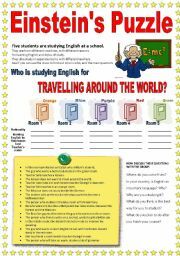 PUZZLE: Who�s learning English for travelling around the world? This exercise is based on Einstein�s famous puzzle. 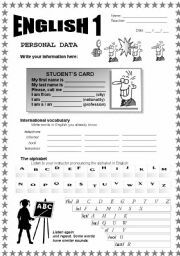 The students have to find out who is studying English because he wants to travel around the world. 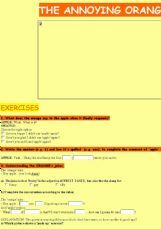 It�s a logic game, using clues. READING AND DISCUSSING. Hope you like it, it was a success with my students!